Tune in to the Poetry Show Tuesday 4th June 6-7pm! | "Join me on 'the journey' of self Discovery!" Tune in to the Poetry Show Tuesday 4th June 6-7pm! Tune in to AFRICA4U RADIO SHOW this evening between 6-7pm for a very special POETRY SHOW with the show’s host Tony Tokunbo Fernandez . He’ll be playing some of my poetry, as well as beautiful poems by Adisa Stephen-Ezeocha, Alan Charles, and Chiedu Ifeozo, and some poetry from his first Published Book – “THE SOUND OF RUNNING WATER”. Also enjoy some pre-recorded African storytelling by University Lecturer based in Plymouth- Abimbola Gbemi Alao. Tony will also be playing you the music of Lekan Babalola based in Somerset and previous guest and X-factor contestant JoJo Beetlestonee. To listen to this one off POETRY SHOW log on to www.reading4u.co.uk – DON’T MISS IT! My new Book of Lyrics which accompanies my CD ‘Seeds of Love’ will be available to download from Wednesday 5th June for only £1.97/$2.99! 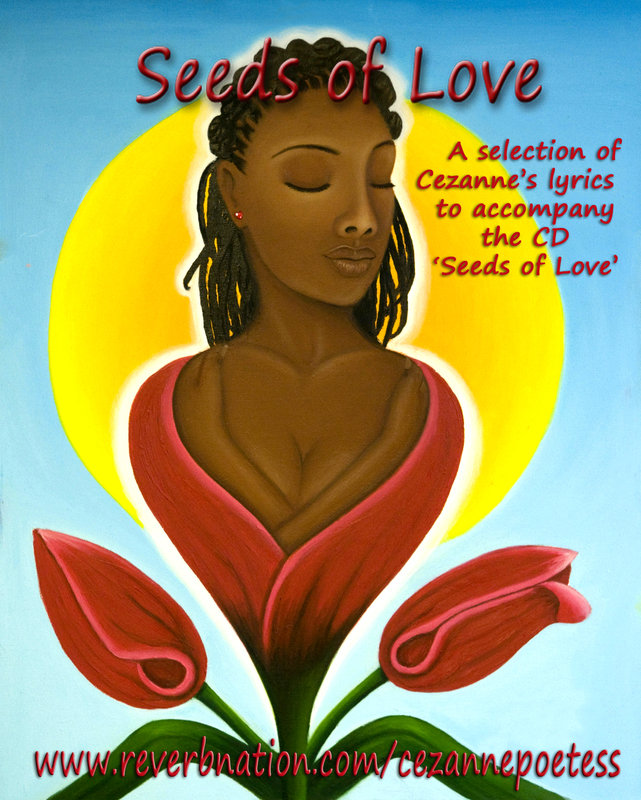 The lyrics for all the poems on the Seeds of Love CD are included, along with their complimentary artwork! If you are an Amazon Prime member, you’ll be able to ‘borrow’ the book FREE! P.P.S. My very first weekly radio show ‘Pure Poetry’ starts next MONDAY 10th JUNE between 6-8pm on Nubia House! The topic of the first show is “What is the difference between poetry, rap and Spoken Word?” Tune in and give your viewpoints! I will also be giving information of any poetry/Spoken Word events happening on a weekly basis, so if you have an event you’d like me to mention, please email me the details at cezannepoetess@gmail.com (no unsolicited mail please). If you are a Poet or Spoken Word Artist and you’ d like me to interview you, get in touch too!